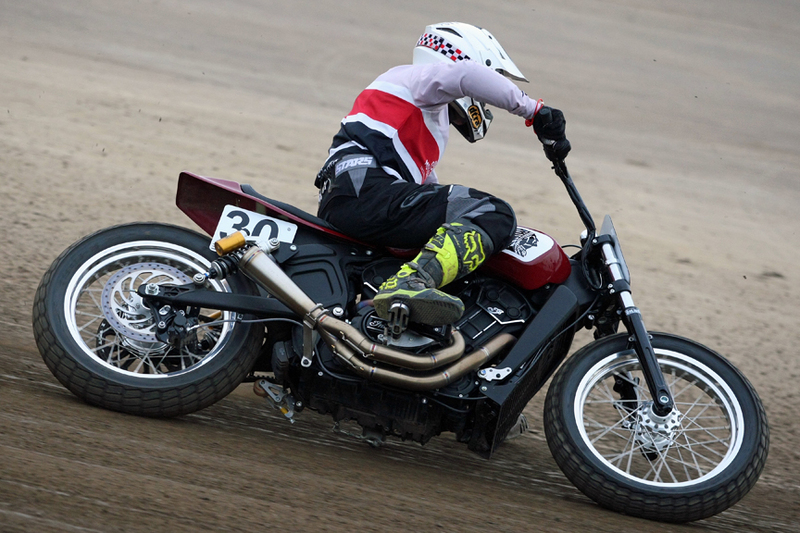 For a company that earned its reputation on the dirt tracks of America, Indian is thrilled by its racing successes in 2017 with both Scout-based Hooligan racers and the Scout FTR750. 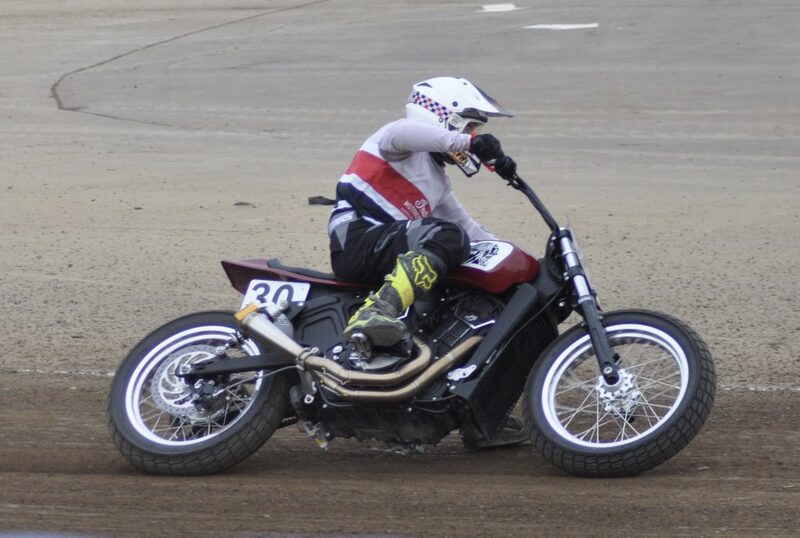 Few could have predicted just how well the engine in the new Scout FTR750 would lay down its power in the American Flat Track series, nor would they have imagined how many 999cc Scout Sixty and 1133cc Scout bikes would be taken to dirt tracks by their owners for Hooligan racing. 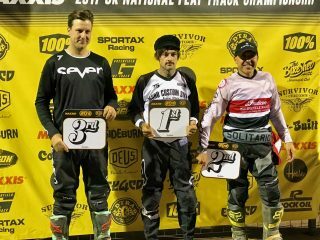 The Scout was that impressive it enticed Spanish champion, Ferran Mas Saenz, to compete in the Dirt Track Riders’ Association’s Hooligan class for the 2017 season. Having missed the first round entirely, he shrugged that off and took part in the next two rounds, the first being the MCN Festival of Motorcycling at the Peterborough arena on a Krazy Horse prepared Scout Sixty, taking second place and 16 points. Winning his third race took him into first place in the championship, seven points clear of second place rider, Martin Mills, who had scored well throughout the season, giving him the possibility of winning the five race series. 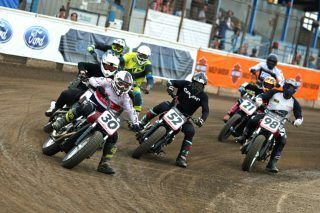 All Ferran had to do was come in the top eight finishers at the fourth and final meeting of the year, held on the eve of the increasingly popular DirtQuake. 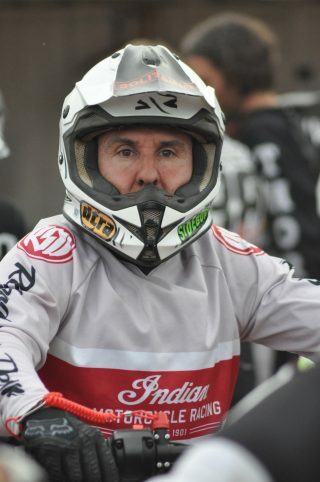 He delivered and came home in a very safe second to be the first Indian-borne championship winner since the Indian Wrecking Crew’s back-to-back wins in the early 1950s. 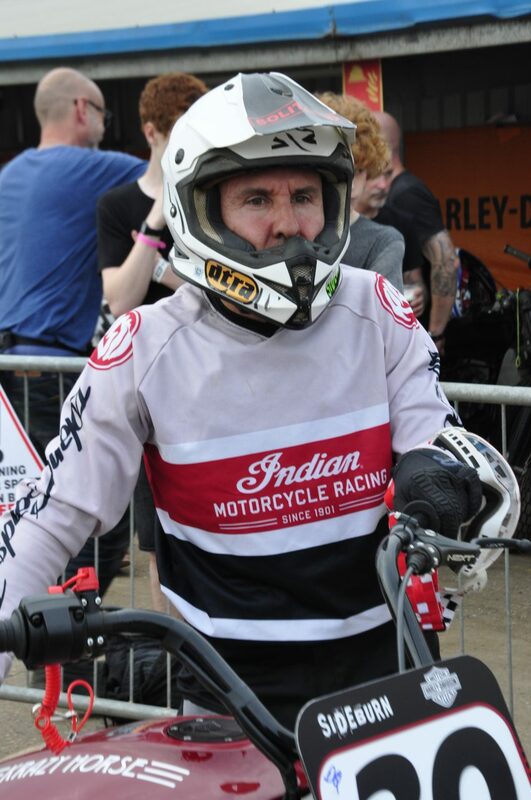 Ferran was far from being the only rider to capitalise on the strengths of the race-prepared Indians, with Ian ‘Curly’ Porter and Lee ‘KP’ Kirkpatrick – two of Krazy Horse’s mechanics, and both new to dirt track – campaigning Scouts throughout the year and both finishing in the top half of the table. Meanwhile star racers in other championships, such as Johnny Lewis, Kevin Doolan and Chris Walker, all showed the bikes’ prowess at Peterborough with positions on the podium. 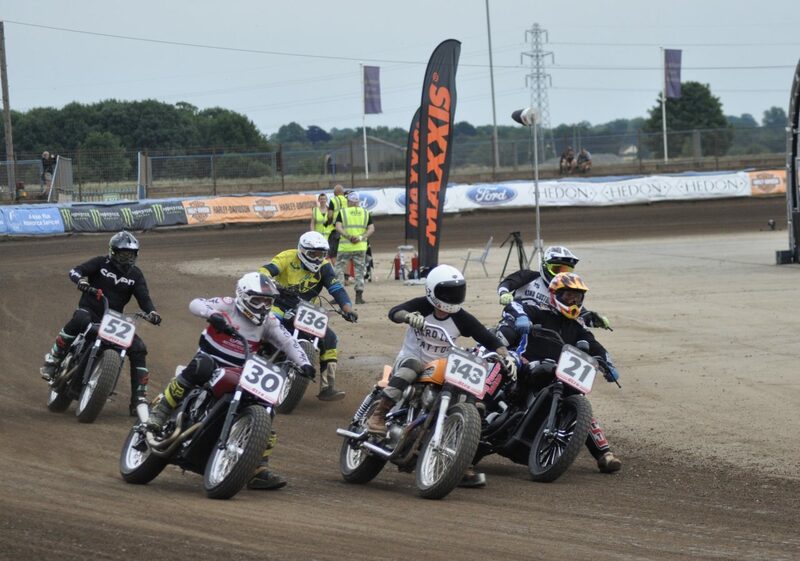 The DTRA is a series that is only going to gain in popularity as audience figure increase. DirtQuake was recorded by the TV production company who present the Isle of Man TT to the world. 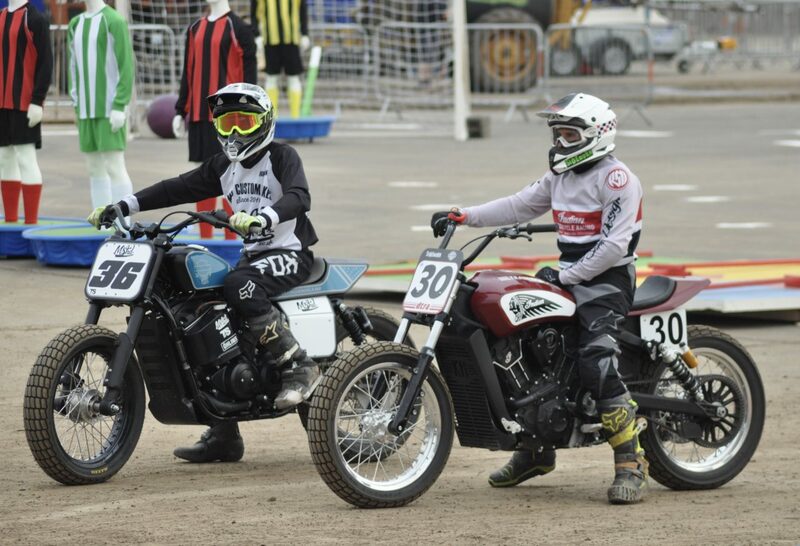 This programme will be shown on a major TV station in the UK at peak time on Wednesday night, where the thrills and spills of this exciting sport – resurrected through the efforts of Sideburn magazine in the UK and Roland Sands in the US – will play out to a new audience. Flat Track Racing has been given fresh impetus by Indian’s return to the competition and this is reflected in the viewing figures in the USA. 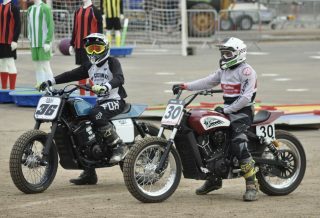 The sight of two big American manufacturers battling it out for the honours is excellent television and can only be good for motorcycling in general, attracting a new generation of riders to the sport as well as encouraging them to swing a leg across an Indian at their local dealer.